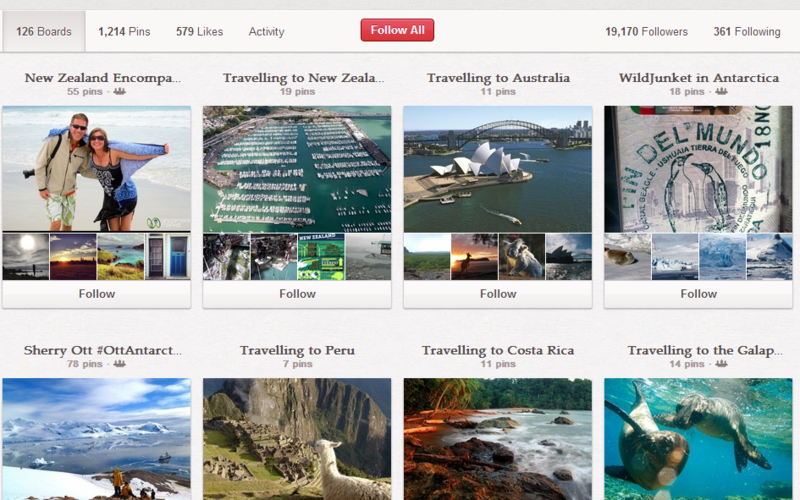 Should tourism and travel companies be on Pinterest? Should hotels, B&Bs, guesthouses, travel agents, tourist attractions and tourist offices be using Pinterest to promote themselves? Of course they should. Travel boards account for 2.5% of all boards and travel pins account for 2.7% of all travel pins (according to Repinly). Given the popularity of recipe, interior design and craft pins let alone all the other categories, travel has a significant percentage. Most pinners will have a board entitled ‘Travel Bucket List’ or ‘Holidays’ and many will have boards devoted to particular places or countries. My own boards include ‘Ireland – Scenery’ and ‘Britain’ and while I may not actively look for images on websites to pin to those boards, I will repin them and save them for future reference, thereby sharing them with my own followers. How Should Tourism-related businesses be using Pinterest? The website (and blog) should contain images of excellent quality that the company itself pins and others can also pin. Breathtaking images will be pinned. Have images of everything you wish to promote – photos from your own tourist attraction, photographs from the area, images from other nearby complementary tourist attractions, photos of nearby accommodation and eateries … the list goes on. 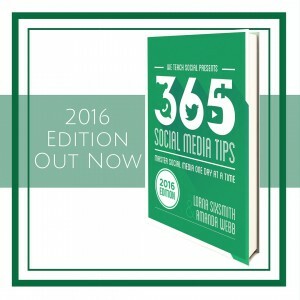 Lifestyle images too – who are your target market? If your target market includes the ‘Culturally Curious’, the aged 50+ who wish to visit attractions and sites, then include images of that age group enjoying various attractions. 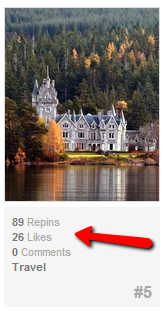 The pin of this Scottish hotel has been featured on Repinly this week, achieving the 5th most popular pin with 89 repins and 26 likes – demonstrating that beautiful scenery and architecture images will do well on Pinterest. Add a pin it plugin to your blog post and a pin it button that is situated beside images will not only signal to pinners that your company is happy to have their images pinned, they will also serve as reminders and your images will be pinned much more often. Don’t make it all about you and your business. Pin images from other tourist attractions that would compliment your business. Pin images from the nearest restaurants or attraction and they will return the favour. This also shows your target market how much is on offer in your area. Repin content too that your market might be interested in seeing such as beautiful architecture, kids activities and splendid scenery. Pins that provide links to tutorials receive 42% more repins than most other types. Pins offering tips or ‘how to’ instructions promise other pinners that they will do what it says on the tin and provide the instructions or tips required. Tips or ‘How To’ type blog posts or tutorials that would work well for tourist businesses would include ’5 Travel Tips for Visiting X’, ’10 Must See Attractions in X’, ’6 Ireland Travel Tips for Americans: Money Saving Tips’, ‘How To Visit X for €x Per Day’, ’5 Free Travel Activities for Kids’, ‘How To Pack For A Month’ and many more. These can be pinned to a ‘Travel Tips’ board and I think they would be very popular. 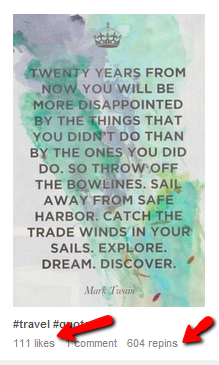 Quotes are hugely popular on pinterest and travel quotes are no exception. Create a ‘Travel Quotes’ board and repin other quotation pins to it and create your own on an attractive image or meme on your own website or blog so it acts as the source for the pin, thereby generating traffic to your own website. See our post on how to use picmonkey to write text on images. Shared boards offers huge advantages to companies as you can invite your clients, customers and followers to pin with you. The main advantage of shared boards is that as a creator of a shared board, you will be seen as a thought leader. Pinning to a shared board means that your pins will be seen by many more followers and is much more likely to be repinned – the reason being the shared board will be seen by the followers of all the contributors. 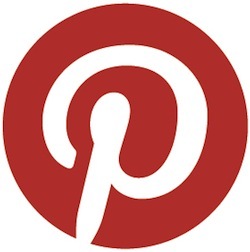 Growing your pinterest followers mean that your pins are much more likely to be repinned, liked, commented up and clicked on – thereby driving more traffic to your website. Your website should be capable of converting a percentage of those clicks too. 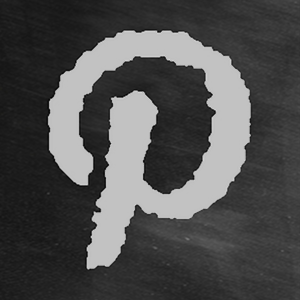 Engage with other pinners by repinning and commenting. 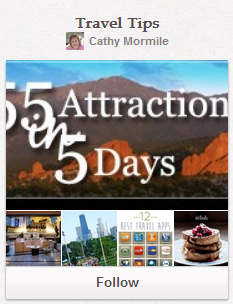 Are you using Pinterest for your tourism business? Are you finding it effective? Do share your thoughts in the comments below – we’d love to hear. 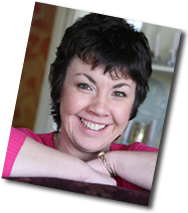 If you would like to book a training session on Pinterest or any of the other social media platforms, do get in touch. We will be starting our first online course on Pinterest in April/early May so do sign up at We Teach Social if you’d like to receive a newsletter with all the details.